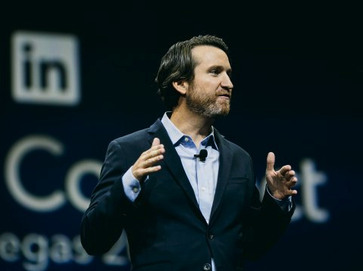 Brendan Browne, the Vice President of Global Talent Acquisition is heading LinkedIn's global recruitment efforts and helped the company to grow into the largest social business network in the world. In April this year LinkedIn claimed a new record with 500 million registered users from more than 200 countries, and is far ahead of its competitors. Browne has worked in recruiting and human resources for over 15 years and has experience working in markets across the globe for both large multinational corporations and Silicon Valley based startups. When Browne started his career at LinkedIn in 2010 he got inspired by Reid Hoffman, the co-founder and chairman and Jeff Weiner, the current CEO of the professional network. In this article we want to have a closer look at LinkedIn's recruitment principles, Browne's favourite interview questions, and the major hiring mistakes he has experienced throughout his career. Dreaming big: people who are able to create a vision and think on a truly massive scale without limitations with the ability to transform the trajectory of a company. Getting their job done: the most capable people are not only able to create a vision, but know how to overcome challenges on the way to achieve their goal. 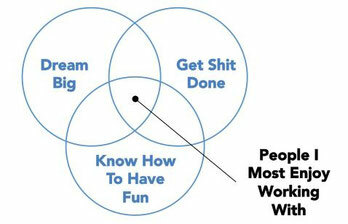 Knowing how to have fun: people who are not only determined by their own agenda, but have a genuine commitment to upholding LinkedIn's company culture and values, are team players, and don't take themselves too seriously. Browne always has Jeff Weiner's recruitment principles in mind when he interviews a candidate. The candidate's answers to these questions help him develop better understanding of their personality traits and how they match LinkedIn's core values. One of the first things Brendan Browne does when interviewing a candidate is to direct him to a whiteboard with a marker. Regardless of the candidate's seniority level they should describe the idea behind the topic they are most passionate about and explain the process. The question aims to create an ambiguous situation and give room for interpretation so that the candidate has to answer spontaneously. If a job applicant is passionate about brewing beer in his free time, for example, he will be expected to draw out the brewing process and explain it in detail. By asking this question Browne learns four things: how the candidate deals with ambiguity, what the candidate cares about the most, how well s/he is able to explain, and how s/he establishes a process. What do you want to do after you leave the company? This question seems to be surprising since most job applicants are used to pretending that they will never leave the job they are applying for. However, Browne is aware of the fact that the days of lifelong employment at a single company are over. Therefore he incorporates a discussion around this topic into the interviewing process to find out if the candidate's answer is honest and transparent. He said that his role as head of recruitment was to build a trusting relationship with the candidate as fast as possible and find out what the candidate is really aiming for in his professional development and if these goals align with LinkedIn's business strategy and company culture. Browne does not expect the candidates to retire at LinkedIn, but looks for an open and straightforward discussion since there should not be any surprises in this area after a person is hired. Browne has identified the most common mistakes that managers make when they want to hire a new employee. These mistakes do not only apply to managers working at LinkedIn, but can be found at any company hiring new personnel. According to Browne the job of a recruitment leader is to help hiring managers to develop better understanding of the available talent on the market. Hiring managers are often looking for a candidate who fulfills every trait of an imaginary person for a job, which he calls a purple squirrel. He shared a story from his early days at LinkedIn when he was working with a senior manager scrambling to find a high-level data center expert in the shortest possible time. His recruitment team was so focused on finding the perfect candidate that they were meeting on a daily basis to discuss the progress of the search. Browne and his recruiters searched through a wide talent pool to find IT experts who met all the criteria defined by the hiring manager. They finally identified seven candidates worldwide who matched the job description. Browne realized that the search criteria were set too narrow and it would be almost impossible to fill the position. The job of a recruiter is to closely communicate with the hiring manager and align their expectations with the realities of the talent market so as to be able to compromise on certain aspects of the candidates' requirements and not wed to the idea of a perfect candidate. The second major recruitment mistake that Browne discovered is that recruiters often cold call (or send a cold LinkedIn message) to candidates and try to convince them to work for their company through a standardized pitch. LinkedIn conducted a study where they measured the positive response rate to cold LinkedIn messages sent by recruiters. The outcome of the study was that the favorable response rate jumped from 28% to 85% when a recruiting pitch included a personal recommendation from a mutual connection. A prospective hire will be much more likely to agree to a followup interview if he feels that the recruiter cares about him and if he shares a personal connection with the recruiter. Browne found that this approach leads to more efficient interviews and a higher rate of hires. "It's a very simple concept, but based on the outreach that I get from many recruiters people don't do it," Browne said in a Business Insider interview earlier this year.